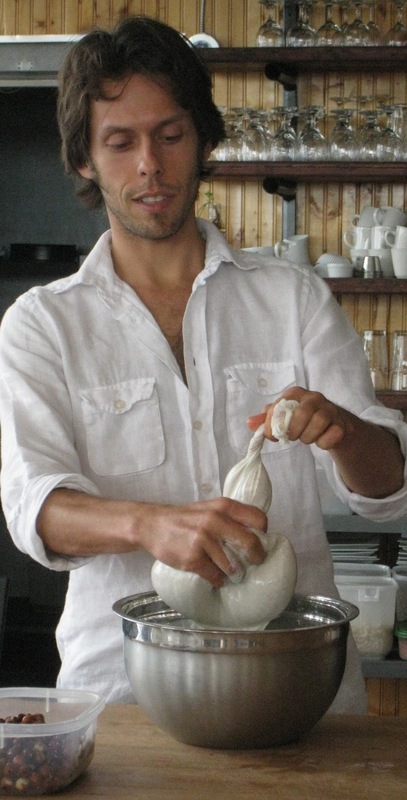 It was back in summer 2010 when I decided to attend the living food full day class. I didn't even have an idea of what I was going to experience that day. A mixed cosmopolitan class of 20 people, some are vegan, or maybe vegetarian, and others like me, new to this cuisine experience, all are attending to learn the concept of creating "uncooked"food. Listening, watching and tasting, everything, from juices, smoothies, snacks, main meals to even desserts. Yummy!! Before attending this class, I have never heard about or tasted a wheatgrass juice. Have you? 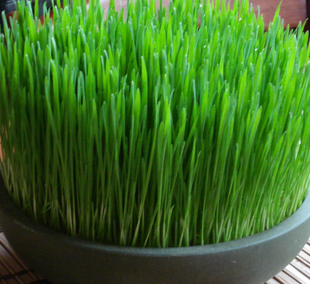 Do you know that Wheatgrass has lots of benefits? It can also be grown indoors in trays for ten days. Some of the easiest things to do to nurture your body with the good nutrients. Just put them in the wheatgrass juicer and drink it. As said, lots of healthy benefits hold this tiny green grass, you will be surprised. Wheatgrass is a powerful health food supplement that is packed with highly concentrated vitamins, minerals, chlorophyll and enzymes. 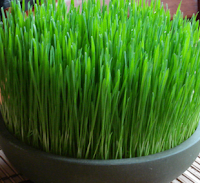 Nutritionally, wheatgrass is a complete food that contains 98 of the 102 earth elements. One of the ingredients with major benefit in wheatgrass is chlorophyll, which has the ability to draw toxins from the body like a magnet. Considered the "blood of plants", chlorophyll can soothe and heal tissues internally. How about green smoothies? I did try them for the first time that day. 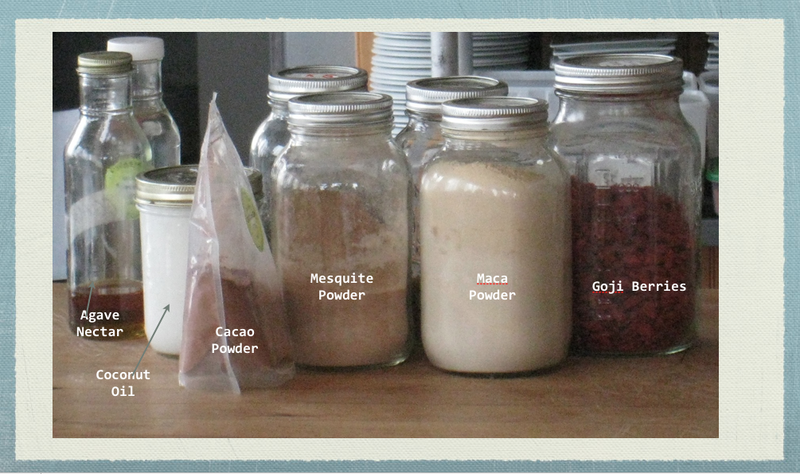 Each ingredient has its own benefits - to be discussed in another story! Equipment to be used for the smoothies, the best one is the Vita-Mix, an expensive blender, but worth every penny. Later, I learned how to do almond milk, and now I blend almonds most of the days at home. Different ingredients can be added to the almond milk if you don't wish to drink it plain. Or by adding the below ingredients; maca, mesquite, coconut oil, chia seeds (soaked 1h), goji berries (soaked 1h), white mulberry (soaked 1h), water and bananas, then you'll drink a fabulous milk chocolate. 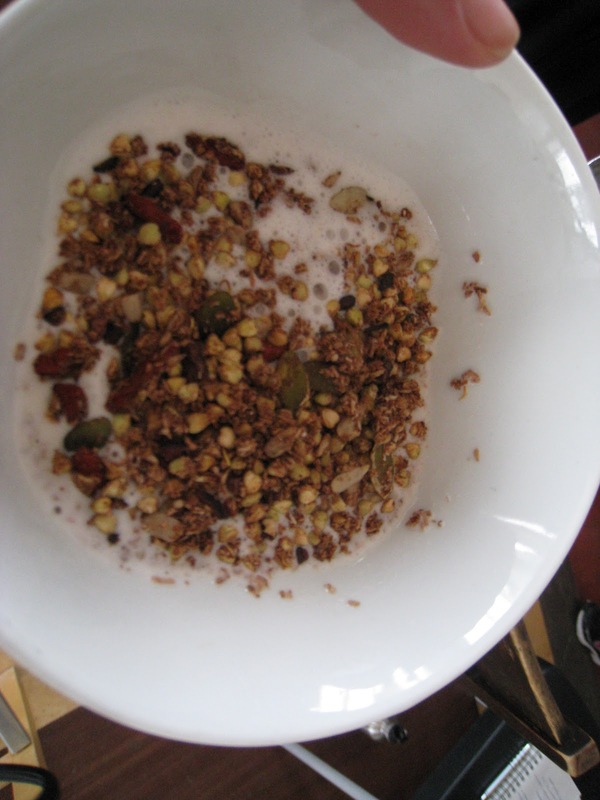 Best morning breakfast would be almond milk with granola! I buy the Choco Zing granolas from Crudessence online boutique, it taste yummy. Choco Zing granolas has a mix of sunflower seeds, pumpkin seeds, dried buckwheat sprouts, date paste, sprouted and dehydrated buckwheat seeds, coconut flakes, cocoa nibs, goji berries, cacao powder, carob powder, cloves, sea ​​salt. Perfect morning boost! All these 5 items were for breakfast! Imagine! We still have lunch, snack, dinner and dessert! Every morning blend some green smoothies, or do some almond milk mixed with what ever your heart desires, and savor the new taste!